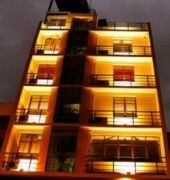 Port View City Hotel is located in the city center area of Colombo. Guest rooms are equipped with safety deposit boxes and free WiFi access. In addition, the hotel provides 24-hour room service, laundry and dry cleaning, airport transfer and concierge services. Attractions in the area include the Colombo Old Market, Gangaramaya Temple and the Kathiresan Kovil. Bandaranaike International Airport is approximately 30 km from the hotel.